The Singapore government has up come with an innovative way to teach people about the cultural heritage of the country with the help of a chatbot called WoOoO. The Hungry Ghost Festival, which started on 25th August, lasts an entire month. During this time, the spirits roam in the world of the living. According to the Ministry of Culture, Community, and Youth (MCCY), the chatbot has tremendous amounts of knowledge about the practices and origins of the festival. They said that they consulted Taoist and Buddhist religious leaders before feeding the chatbot with information. Does the chatbot have the necessary features to help users during real-world interactions? WoOoO or Woo is available on one of the most popular platforms for chatbots, Facebook Messenger. MCCY set up a Facebook profile for the chatbot before the start of the festival. Like every other chatbot which uses Facebook Messenger, you need to select “Get Started,” located at the bottom of the screen to activate the chatbot. Give me a daily challenge! 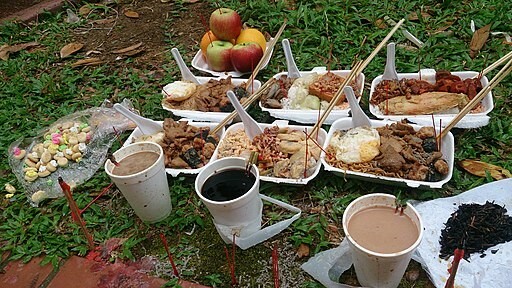 Hungry Ghost Festival? What’s that? The aim of “Give me a daily challenge” is to educate users about the festival. Let’s find out how the chatbot responds when we select this option from its main menu. From the response of the chatbot, we can say that it tries to be friendly and funny at the same time. The chatbot asks a pop quiz, where you have to answer in the form of true or false. Depending on your answer, the chatbot will let you if you got it right. An interesting thing to note is that the chatbot goes in depth to ensure that you get adequate amounts of information about the festival. For example, the chatbot asked us about a practice of Taoist priests during a particular month. After giving the chatbot our answer, it explained the reason behind this specific practice. We believe that the chatbot is quite helpful in this manner, as it uses creativity to share information with its users. Also, you can take the pop quiz every day, to learn something new about the festival. Moving on, we were curious to find out about the second option, “Hungry Ghost Festival? What’s that?” Upon selecting this option, we found out that the chatbot gives information about the history of this festival. For instance, the belief is that the spirits are free to roam the world to search for food, as they are starving. It also explains, in general, the practice of offering food to the ghosts. You can also learn about the “Gates of Hell,” “Buddhist Origins,” and “Taoist Origins.” For example, when you select “Gates of Hell,” the chatbot will ask you a question, before dwelling on this topic. The chatbot shares images and gifs throughout the conversation to keep it interesting and entertaining. At the same time, the responses available during the conversation make you curious to learn about this festival. Going to the third option, “What do people do during this month,” you get to learn about the festival’s practices. For example, you can know about public auctions, live performances, rituals, and offerings. According to the chatbot, some of these options are not a part of Buddhist or Taoist beliefs. After selecting “Offerings,” the chatbot asked us whether we wanted to know about paper, food or other types of gifts given to the spirits. WoOoO asks a couple of questions while interacting to ensure that the users are following the conversation. “A day in the life of the ghost” is the last option available on the main menu. WoOoO tries to describe how ghosts live when they enter the world of the living. The chatbot shares pictures and provides descriptions to show that ghosts have a great time during the festival. When you select “Poke Mr.Woo,” the chatbot continues to talk about its life. WoOoO is a great informational chatbot for the Hungry Ghost Festival, available on Facebook Messenger. You will save a lot of time interacting with this chatbot as it is quick in providing information. You can learn about all the rituals in a different manner, ensuring you remember the intricate details of this festival. By providing images and gifs, the current generation will find it easier to connect with this chatbot. The pop quiz is one of the best features of WoOoO, as you can learn about the festival in no time. If you want to learn about the Hungry Ghost Festival, check out this chatbot by clicking here!